NIA CHARLESTOWN NEVIS (JUNE 16, 2015) – The Medical University of the Americas (MUA) student government donated lights to the Alexandra Hospital on June 12 ,2015, for use in its operating theatre and at the Flamboyant Nursing Home. Hospital Administrator Gary Pemberton thanked the MUA for the donation. He said the contribution would assist in meeting a major aim of the hospital of striving for continuous improvement in service delivery. Obstetrics and Gynaecology specialist Dr. John Essien, also expressed gratitude on behalf of the operating room staff. He believes the lights will serve the operating room for a long time with proper maintenance. Dean of Basic Science at the Medical University of the Americas Ralph Crum, shared that one of the missions of medical education was to equip their students with the understanding of altruism and philanthropy. “I think that it is tremendously important that they participate in fund raising and giving back to our host community. I think it does a lot for the relationship between the school, the community and the government,” he said. 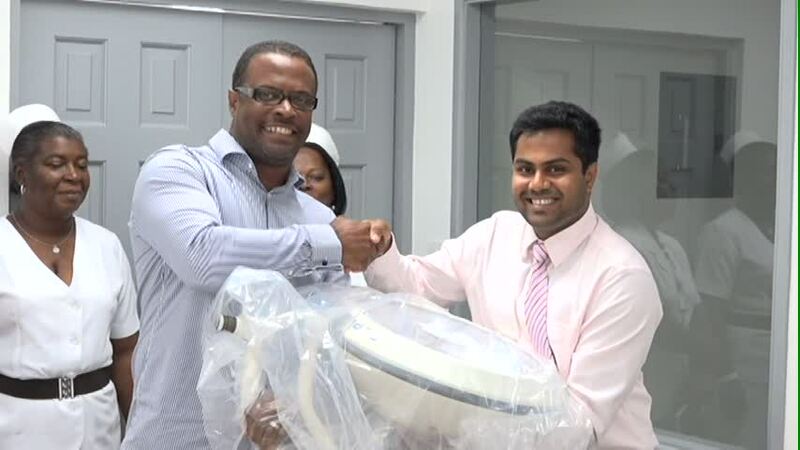 President of the MUA Student Government Vivek Govardhanam presented the lighting equipment to Minister of Health Hon. Mark Brantley. In response, Mr. Brantley, praised the Medical University of the Americas not only for the donation but for its efforts in giving back to the community. He said the University has played a critical role in community building in Nevis. “This is a gift that the Government and the people of Nevis really will cherish and promise to take very good care of it,” he said. 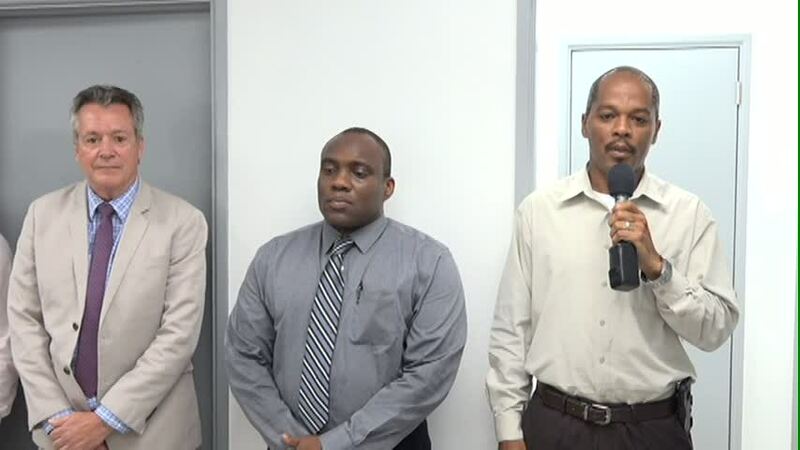 Senior Customs Officers on Nevis meet with Ministry of Finance.